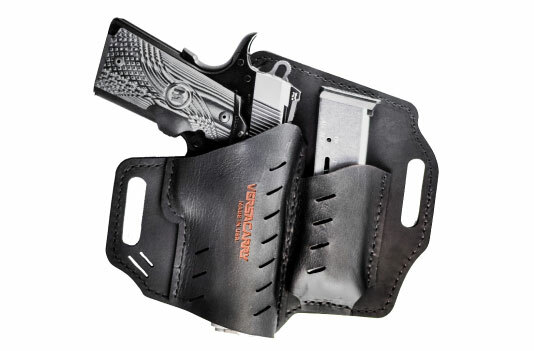 Designed with efficiency in mind, we have included a forward cant into this holster. This cant not only will help conceal your gun, but it will also improve your draw speed. 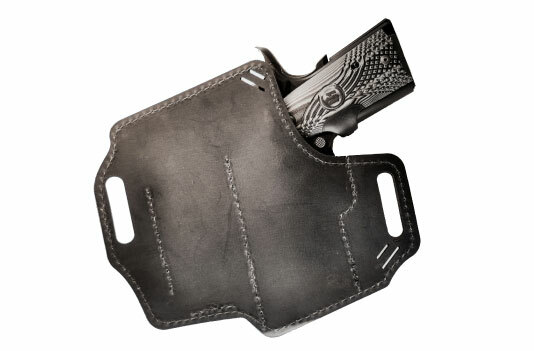 A holster should protect not only the user from the sharp edges of the gun but also the weapon from sweat. Our raised leather backing acts as a comfortable shield that protects both user and gun. Regardless of magazine positioning, it is without a doubt better to have a spare magazine in the time of need than not to at all. Our holsters are designed to be practical, not tactical. Most leather holsters will require you to break in your holster before being able to use it. This is not only inconvenient but time-consuming as well. To avoid these, we have included a unique design that leaves the holster with a slight gap. By adding this gap, it speeds up the break-in time by about half. 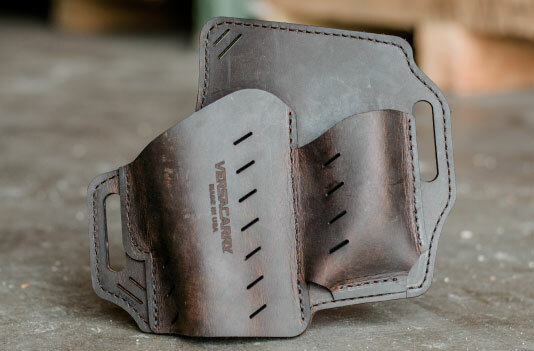 Holsters with multiple layered backings serve numerous purposes which include extra comfort, more prolonged use, and better support for your handgun. 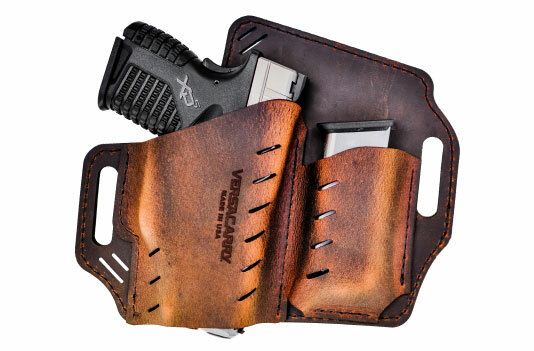 It is vital that if you are going to carry that you not only have a holster that is comfortable but one that you can trust to contain your handgun securely. 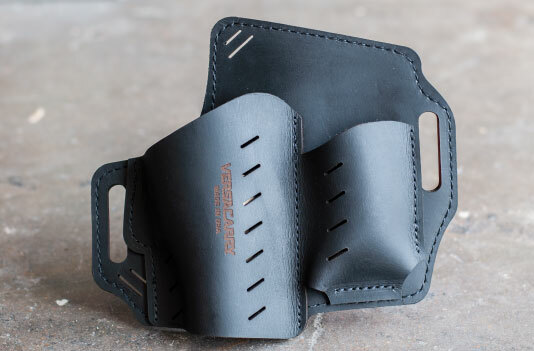 All Versacarry® products come with a Limited Lifetime Warranty. If you have a warranty related issue please contact us support@versacarry.com. All products may be returned within 30 Days of Purchase. Shipping costs must be covered by the purchaser. All refunds will be issued within two business days of receiving the returned product less any shipping costs. We reserve the right to void our Return/Exchange Polices if the product has been damaged and cannot be resold. Anyone wishing to make a Return/Exchange must first send a picture to verify that it’s acceptable to be received back. If an order is sent back without authorization that is damaged you will be responsible for the shipping charges to receive the item(s) back.